Sandy Lee Watkins Park is made of 500+ acres, four fishing lakes, a 3-mile walking trail, playground area, radio-controlled flyer landing strip, and a vintage bridge. All of the acreage, greenery, and waterfront views offer everything you could look for in a nature exploration day. And to end the day, lay out a blanket or park your chair near one of the lakes and watch the rays disappear. With 10,000 acres of wetlands, woodlands, ridges, and open fields, the possibilities are endless in the Sloughs. Canoeing, camping, hiking, fishing, and bird watching make an adventurous weekend that can only be topped off by sitting by the water and enjoying the sunset on the lily pads. If you’re looking for a day on the lake, Audubon State Park is the ultimate place to rent a paddle boat, have a picnic on the deck, and relax on the water at the end of a day full of adventure. The 28 acre lake offers plenty of scenery to enjoy, absorb, and adore as the sun goes down. 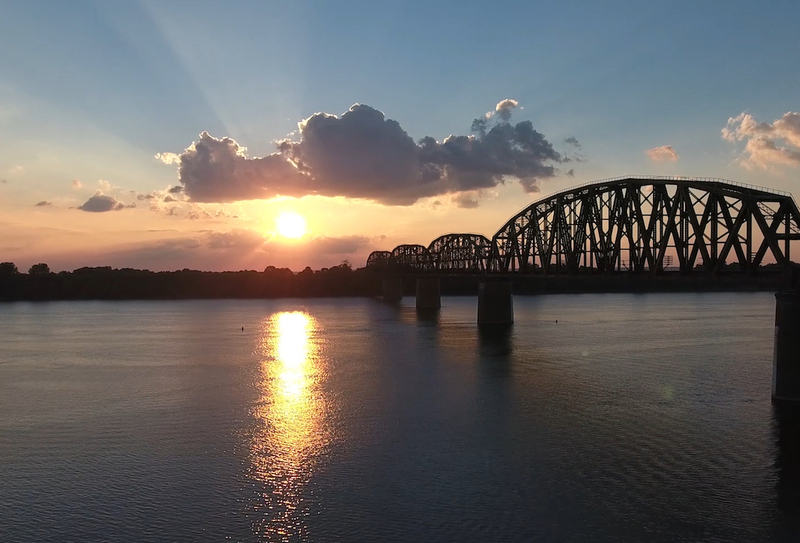 This is one of the most notorious places in Henderson for cruising, hanging out, and watching the sun go down on the Ohio River. No matter what day of the week, it is the prime spot to eat ice cream, sit on a bench, and enjoy the bright orange coloration lighting up the water. Check out more Things To Do in Henderson on our community calendar!